Bahrain and India have reached to a preliminary agreement to scrap recruitment fees of Indian female domestic workers to Bahrain. Labour Market Regulatory Authority (LMRA) said in a statement yesterday that both sides have studied cancelling the financial guarantee term to recruit Indian housemaids in Bahrain and to set up a mechanism to provide the most skilled employment for Bahraini employers. The authority explained that the financial guarantee is required by the Indian Embassy in the Kingdom to protect the workers rights. It also stated that the rights of domestic workers are well protected by the Bahraini legislations, which also grants LMRA the jurisdiction to ensure protection of the rights of this category. 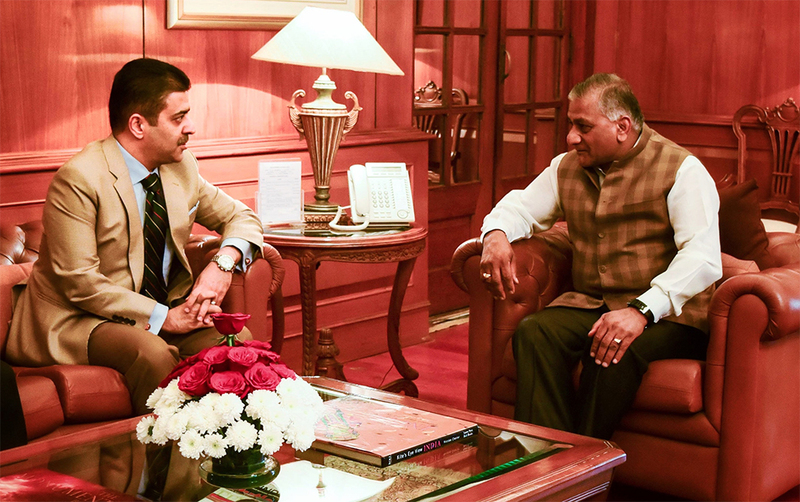 The decision was made during a meeting held in India between LMRA CEO Ausamah Al Absi and Indian State Minister for External Affairs Dr. Vijay Kumar Singh, in the presence of state officials and Bahrain’s Ambassador to India Tariq Bindainah. Recruiting Indian employment through electronic connection to facilitate recruitment procedures was also discussed. The Indian community is the largest in the Kingdom with around 313, 000 Indians living in Bahrain, including 219, 000 labourers, 66, 000 domestic workers, 2500 investors and 63,000 dependants. This entry was posted in Daily Tribune and tagged Ausamah Al Absi, female domestic workers, financial guarantee, Indian Embassy, Indian housemaids, photo, recruitment fees by Labour Market Regulatory Authority. Bookmark the permalink.